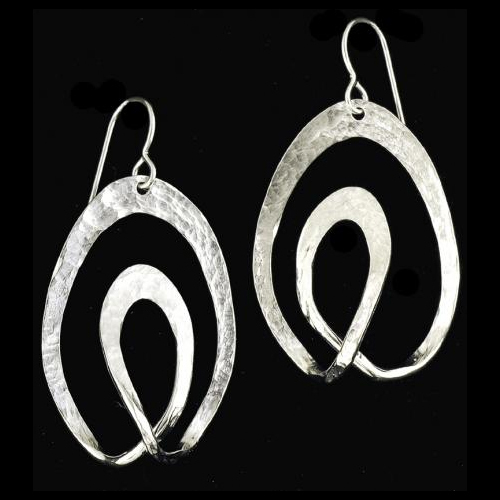 Fabulous swirls of hand-forged sterling silver. Great dimension, designed to flatter! One-of-a-kind. Measured from top of ear wire.